By: George L. Redmon PH.D.N.D. Studies have suggested for some time that whey protein can up-regulate immune system surveillance systems due to the presence of several live bioactive fractions. Those fractions include beta-lactoglobulin, alpha-lactalbumin, glycomacropeptide and lactoferrin. Lactoferrin has been shown to stop the growth of pathogens commonly associated with food poisoning. Interestingly, new research has shown that lactoferrin is able to increase the production of new bone, in cases of osteoporosis and non-healing bone fractures. Whey also contains bovine serum albumin, a protein that increases white blood cell, T-cell and antioxidant cell activity, as well as immunoglobulin anti-bodies that build the immune system. Additionally, all the critical amino acids for cellular repair, growth, and glutathione production naturally occur within whey protein. As you know glutathione is the most powerful antioxidant that protects your cells, essentially the body’s defender of your internal homeostasis, which refers to the ability or tendency of an organism or cell to maintain internal equilibrium by adjusting its physiological processes. It would appear from our discussion thus far that whey, while holding the status of gold standard within the fitness and body-building community, is clearly more dynamic or more highly anabolic than ever imagined, meaning having the ability to make bio-chemically charged processes, metabolically better. In fact, there are two ancient proverbs from the Italian city of Florence that say, if you want to live a healthy and active life, drink whey, and, if everyone were raised on whey, doctors would be bankrupt. While researchers outside the sports nutrition community are unlocking the potential medicinal benefits of whey protein, conversely this same scenario is occurring within the sports medicine arena. For example, in a recent study conducted at Baylor University, resistance trained individuals who utilized a whey/casein combination gained five pounds (5lbs) more muscle after 10wks versus subjects using whey alone. Similarly, researchers at the Department of Nutrition and Metabolism at the University of Texas found that a synergistic blend of 25% whey, 25% soy and 50% of casein protein sustained a longer consistent delivery of amino acids. Different dietary proteins affect whole body protein anabolism and growth differently, and therefore have the potential to influence results obtained from resistance training. However, no other supplemental protein is as important as whey. It is the fastest-digesting protein as compared to casein, egg or soy protein. Once digested it is rapidly broken down according to researchers at the Nutritional Biochemistry Department at the University of Yaounde in Careroon within a matter of 1.5 hours. Because of this, amino acids- the building blocks of all proteins are also metabolized rapidly and are absorbed into the bloodstream. These busy bees so to speak quickly start repairing damaged muscle tissue by jump starting protein synthesis. Phenomenally, current data indicates that in some cases whey protein can increase protein synthesis by 70%. On the other hand, studies have shown that casein protein in many cases increases protein synthesis by only 30% because of its slower rate of break-down. Also, according to body- building guru and sports medicine expert Jim Stoppani, whey protein also boosts blood flow to muscle tissue, which is another secret to its protein-synthesis power. He went on to say that increased blood flow enhances the delivery of nutrients, including glucose (energy), amino acids, and oxygen, all key nutrients that support muscle growth and accelerate recovery after a workout. Collectively, one of greatest attributes that whey has over other protein sources is its high leucine content. Leucine is considered to be the prime anabolic signaling agent that ignites the mTor pathway, short for Mammalian Target of Rapamycin. This pathway is responsible for signaling the muscle to make more protein. The mTOR pathway could be compared to a back- up generator that kicks in when protein production shuts down. However, mTOR isn’t a back-up system in case of error, it is the system. Simply put, leucine not only provides the building blocks for protein synthesis, it also controls the bio-chemical processes that run the protein synthesis processes. In fact, without leucine, the body can’t correctly decipher cellular instructions that stimulate protein synthesis and prevent the degradation of muscle tissue at times of nutritional inadequacies and recovery. Paradoxically, in a recent study appearing in the Journal of the American College of Nutrition researchers reported that to date leucine is the only amino acid known to stimulate protein synthesis without help from another source. More specifically, a series of recent studies have demonstrated that leucine has a 10 fold greater impact on protein synthesis than any other amino acid. While whey stimulates new protein creation faster than casein and is considered a better protein source than other proteins for increasing a number of anabolic parameters, the question becomes why use anything else with it? The fact is nutritionally, as nature intended, no one nutrient can serve as the sole source of nutritional adequacy. However, when you combine nutrients together you have what is referred to as a synergistic effect. However, like everything, one single nutrient like many in nature up and even down-regulate the dominate qualities or unhealthy ones exhibited by other nutrients, essentially, making them better. This is why sports scientist have experimented with combining whey with some very dynamic products in their own right. The study results have shown a possible isotonic link that appears to maximize whey’s anabolic potential. The term isotonic from a physiological stand point refers to specially formulated chemicals in a specific product that stoke(make stronger) the body's anabolic machinery and prime metabolic pathways that encourage growth and repair by improving a process known as chemical exercising. It is here where spare parts are provided to sustain bio-chemical processes in situations where key nutrients are used up, especially during vigorous workouts. From all the collective research it appears that whey just doesn’t work well with other nutrients; it works extraordinarily well with them. In this report, I will outline some of this emerging research that has clearly pushed whey – way over the top. In the study mentioned earlier at the University of Texas individuals who took part performed a single session of resistance exercise and then 1 hour later consume either whey protein or a blend of whey, casein, and soy. The supplements both contained 19 grams of protein. The blend consisted of 50% casein, 25% whey, and 25% soy. Both supplements equally increased muscle protein synthesis during the 2 hr post-exercise time period. However, from the 2 to 4 hr post-exercise recovery period only the protein blend increased protein synthesis. In a related overview presented at the Science in Nutrition 1st International Congress held in Rome, Italy, by Dr. Gregory L. Paul the Director of Sports Nutrition at Solae, a soy‑based technological company in St. Louis, he concluded that by blending soy protein, casein, and whey protein it creates a more balanced amino acid profile, specifically for branch chain amino acids (BCAAs), glutamine, and arginine. He went on say that this confers an advantage because a more balanced amino acid profile provides a wider range of benefits such as acid-base balance, growth hormone release, enhanced muscle blood flow and immunity more so than a single protein source rich in only 1 or 2 of these key amino acids. Creatine as you known is well known for its ability to enhance energy in the muscle via its ability to quickly recycle ATP (adenosine –Tri-Phosphate) thus improving workload capacity and protein synthesis. CLA short for conjugated linoleic acid has been researched extensively at the University of Wisconsin and plays a key role in reducing body fat in a number of different ways. In fact, researchers at the Link Medical Research Center in Kjeller Norway reported that while CLA reduced body fat mass and increases lean body mass, that it is selective, even targeting regional-specific fat deposits in overweight and obese individuals. In contrast to these individual attributes, in a current Canadian study at the College of Kinesiology, at the University of Saskatchewan, scientist tested the combo of whey, creatine and CLA on strength training. They also looked at variations in the combinations. This double blind study, was comprised of sixty-nine participants randomly placed in three different groups. The first group labeled CCP was given 6 g/d of CLA + 9 g/d Creatine+ 36 g/d of whey. The second group labeled CP received Creatine + whey + a placebo (same dose). The 3rd group labeled P received whey + a placebo during 5 wks of strength training (4-5 sets, 6-12 repetitions, and 6d/wk). At the conclusion of the study the creatine, CLA, whey protein group (CCP) had statistically considerable increases in: bench press +16.2%, leg press +13.1% and lean tissue mass +2.4%, as compared to minimal gains in the other groups. The group that consumed both whey and creatine together had significantly higher increases in lean mass and bench press strength versus the other two groups. Knee extension power was greater than before in the creatine+whey combination and whey group, but not in the placebo group. Please Note: Interestingly, this trial was extended for an additional six weeks, however without supplementation of either whey or creatine. Ironically, the strength and lean muscle gains exhibited at the studies initial end (6wks) were maintained during the extended trial period, exhibiting some possible isotonic attribute. Furthermore in a related study investigators at the Exercise Sport and the School of Biomedical Sciences, at Victoria University in Australia recently confirmed the isotonic capabilities of whey and creatine. In a double-blind randomized procedure, resistance-trained males were matched for strength and placed into one of four groups: (1) creatine/carbohydrate (CrCHO), (2) creatine/whey protein (CrWP), (3)WP (creatine/whey protein, or (4)carbohydrate only (CHO) at 1.5 g x kg of body weight daily for 11wks. The changes in lean mass, fiber-specific hypertrophy (size increase), and contractile protein content (changes in the contents of skeletal muscle myo-fibrillary proteins) were the markers they were tracking. Myofibrils are composed of long proteins such as actin, myosin and titin and others that hold them together. Reporting in the journal Medical Science Sports and Exercise these guys revealed that the creatine/carbohydrate, whey protein , and creatine/whey protein groups had 5% increases in strength and muscle hypertrophy compared to the carbohydrate only group. They concluded that 76% of the strength gains in the squat were attributed to muscle hypertrophy changes alongside adaptations at the cellular and sub-cellular levels to increased activity of creatine and whey protein. Please Note: Muscles contract by sliding the thin (actin) and thick (myosin) filaments along each other, hence the tag actomyosin. Whey protein has demonstrated the ability to enhance myofibrillar protein synthesis, in doses of 20g in young adults and 40g in aging muscle by research scientist at the Department of Kinesiology at McMaster University in Canada. As you know glutamine is the most abundant amino acid found in skeletal tissue and is considered to be the granddaddy of them all. However, in the background, although not highly publicized, one amino that organizes and orchestrates all of the chemical processes that give glutamine the power and potential to do all those anabolic things it does is glutamic acid, also referred to as glutamate. Essentially, L-glutamine is synthesized or made from glutamic acid. Ironically, when glutamine is formed, glutamine is able to convert itself back to glutamic acid, hence there tag as being inter-convertible, meaning that they can each make the other, despite having similar but different molecular structures. Overall, like glutamine, glutamic acid serves as a building block for protein and is a critical excitatory neurotransmitter that insures proper central nervous system function. However, in contrasting cycles, glutamine can be directly received from natural sources of the human diet, whereas glutamic acids are not found in many food items, except for whey protein. Ironically, glutamine isn’t an amino acid found in whey protein. While studies have also confirmed that the combo of whey and glutamine has some powerful capabilities, whey naturally contains the amino acid glutamic acid, which is the amino acid that makes glutamine. This inborn partner of whey protein provides your body with approximately 0.34 g of glutamic acid per 1-oz. serving and packs a mean punch. For example, one of the most important roles of glutamic acid is donating itself to insure that new muscle protein construction occurs in your tissues. Following digestion, your body absorbs glutamic acid and transports it to your cells, and then your cells start making and planting amino acids into newly formed protein. Bio-chemically, glutamic acid carries what researchers refer to as a negative electrostatic charge. It is this chemical process or charge that determines the shape and sustains the function of newly formed proteins. Moreover, when not immediately available the body uses glutamic acid to make other amino acids that are necessary for proper protein synthesis, a prime example of chemical exercising firing on all cylinders. As stated, leucine directly activates the critical signaling pathway in muscle that manufactures protein. While leucine naturally occurs in whey, a little extra dab will do you good, real good. For instance, scientist reported in the International Journal of Sports Nutrition Exercise and Metabolism that 20g of whey protein supplemented with 6.2g of leucine daily for 8 weeks showed a 14.5% increase in strength, while subjects who were administered just carbohydrates showed no improvements. Furthermore, Jeff Volek, the well known sports nutrition expert reported that scientists from Columbia University found that supplemental leucine combined with whey decreased fat by 25%. This combo appears to increase the resting metabolic rate (RMR) by turning up the volume of UCP3 proteins commonly referred to as uncoupling proteins. 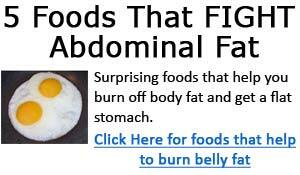 As you know these guys cause the body to utilize energy more efficiently rather than storing it as body fat. More importantly here, resting metabolic rate (RMR) is the energy required to perform vital body functions such as respiration and heart rate while the body is at rest. How important is this, well consider the fact that about 50 to 75% of your daily energy expenditure can be attributed to your resting metabolic rate. With all of the positive research surrounding whey, it is unfortunate that its benefits are still relatively unknown by the general public. By uniting and extending its anabolic capacity and boundaries with specific nutrients has spawned ongoing research with other compounds like carbohydrates, egg protein, enzymes and arginine. The fact is, whey really revs up the chemical exercises or chemical protocols that stimulate growth going on in those muscles of yours! Bottom line here, whey should be a standard core base product of any interchangeable supplement regimen you move in and out of, regardless of your stage of progression. Dr. Redmon has been associated with the vitamin and health industry for over 25years, having served as The National Product and Education Director for one of the countries largest retailers of nutritional supplements. He has been widely published in many major bodybuilding, fitness and alternative medicine publications. He is the author of Natural Born Fat Burners, Energy for Life and is a member of The National Academy of Sports Medicine and The International Society of Sports Nutrition. Burke, D.G., Chilibeck, P.D. The effect of whey protein supplementation with and without creatine monohydrate combined with resistance training on lean tissue mass and muscle strength. International Journal of Sports Nutrition Exercise and Metabolism. 2001; 11 (3):349-64. Coburn, J.W., Housh, D.J., et.al. Effects of leucine and whey protein supplementation during eight weeks of unilateral resistance training. Journal of Strength and Conditioning Research. 2006 May; 20(2): 284-291. Cornish, S.M., Candow, D.G., et.al. Conjugated linoleic acid combined with creatine monohydrate and whey protein supplementation during strength training. International Journal of Sports Nutrition Exercise and Metabolism. 2009 Feb; 19 (1):79-96. Cribb, P.J., Williams A.D. et.al. Effects of whey isolate, creatine, and resistance training on muscle hypertrophy. Medical Science Sports and Exercise. 2007 Feb;39 (2):298-307. Fischman, D. A. An electron microscope study of myofibril formation in embryonic chick skeletal muscle. The Journal of Cell Biology .2006; 32: 558-575. Gaullier, J.M., Halse, J., et. al., Six months supplementation with conjugated linoleic acid induces regional-specific fat mass decreases in overweight and obese. British Journal of Nutrition. 2007 Mar; 97(3): 550-560. Haff, G.G. Whey Protein Supplementation Increases Fat loss and Spares Lean Muscle in Obese Subjects. NSCA's Performance Training Journal. Sep 2008;7 (5):9. Koorman, R., Verdijk, L. et,al. Co-ingestion of protein and leucine stimulates muscle protein synthesis rates to the same extent in young and elderly lean men. American Journal of Clinical Nutrition. 2006 Sept; 84(3): 623-632. Oben, J.,Kothari, S.C., Anderson, M.L. An open label study to determine the effects of an oral proteolytic enzyme system on whey protein concentrate metabolism in healthy males. Journal of the International Society of Sports Nutrition .2008; 5:10. Reidy, P.T., Walker D.K. et.al. Protein blend ingestion following resistance exercise promotes human muscle protein synthesis. Journal of Nutrition. 2013; 143(4): 419-416. Stoppani, J. Whey to Grow: Your Expert Guide to the Premier Muscle Building Protein. Aug 12, 2011. Found on line at: www.bodybuilding.com/fun/bbinfo.php?page=WheyProtein. Accessed on 01-29-14. Volek, J.F.. Leucine triggers muscle growth. Nutrition Express. Found on line at:www.nutritionexpress.com/article+index/authors/jeff+s+volesedk+phd+rd. Accessed on 02-08-14. Walker T.B,, Smith J., et al. The influence of 8 weeks of whey-protein and leucine supplementation on physical and cognitive performance. International Journal of Sport Nutrition Exercise and Metabolism. 2010; 20(5):409-17. Yang, Y., Breen, L., et.al. Resistance exercise enhances myofibrillar protein synthesis with graded intakes of whey protein in older men. British Journal of Nutrition. 2012 Nov; 108(10):1780-1788.